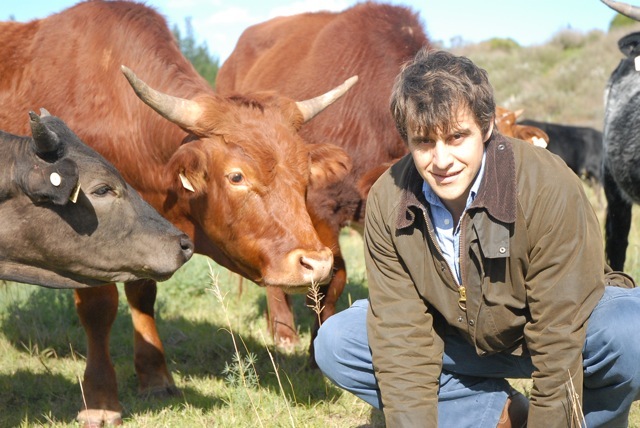 Since December 2008, almost 300 hectares of the Spier farm is being managed under biodynamic agricultural practices. Pasture-reared beef and chicken, pastured eggs, some wine grapes and vegetables are currently in production, with provision being made for olives, artichokes, nectarines, and almond trees. The entire farm is now being managed under biodynamic and organic principles. 55 hectares of vineyards are in conversion to organic and eventually biodynamic status. 54 hectares of irrigated perennial pasturs is the primary source of nutrition for our Pasture Reared Beef, Chicken, Eggs and Lamb. 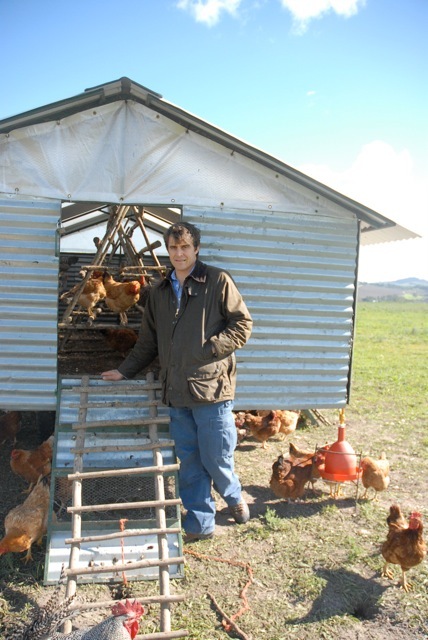 The beef and chicken are managed in the high density method inspired by Ian Mitchell-Innes and Joel Salatin. Over 2000 of our laying hens live in Eggmobiles that follow the cattle around the pastures. Our produce is served in the finest restaurants in the Cape. We have recently started delivering our produce to homes in the wider Cape Town Metropole. We also have a retail outlet on the Spier Wine Farm now in the Eight to Go eatery. Biodynamic techniques recognise that plant life is intimately bound up with the life of the soil – that the soil itself is alive and vital, and the degree of vitality has a direct bearing on the health of the crops, which in turn brings health to those who consume the produce. Biodynamics therefore works to improve the fertility of the soil using a closed-loop approach. In addition to sharing principles, methods and techniques with organic farming, biodynamic agriculture acknowledges that the plant’s growth is also affected by planetary influences like the waxing and the waning of the moon and other forces in nature. Run by passionate former investment banker Angus McIntosh. The farm supplies the newest of Spier’s restaurants, a farm-to-table eating experience called Eight. The menu is small and seasonal, with a focus on organic and natural ingredients, and wholesome and delicious dishes to be paired with Spier’s award-winning wine. The restaurant also sells organic vegetable boxes and frozen pasture-reared chickens from the biodynamic farming operation. McIntosh is passionate about ethical food production and appears to have effortlessly stepped into his role as a farmer in a setting far from his original hunting ground as an investment banker for Goldman Sachs’ in London. He lives on the farm with his wife and three children in a house they designed and built around ‘green’ building practices. The chickens are nurtured on a diet that is completely free of hormones, antibiotics and synthetic vitamins. Unlike conventionally-farmed chickens, they see the sun and experience the rhythms of the day. They are pasture-reared, and are moved to fresh grass every day. Their diet includes minerals and bugs from the grass, resulting in skins that are more yellow in colour. The chicken’s nitrogen-rich manure is restoring fertility to the land, and benefiting the pastures, which are farmed according to biodynamic principles. The pasture-reared chickens are available for sale at select retail outlets in Cape Town; Continental butchery, Melissas, Wellness Warehouse, Giovanni’s and Kwalapa. The herd currently consists of Nguni and Bongihlathis (a Bonsmara type) cows. These cows have been mated to an Nguni bull. The Nguni breed has been chosen as the foundation of the cow calf operation as they are indigenous and are renowned for their adaptability, hardiness and their ability to maximise production of good quality beef off-pasture without additional supplementation. A “high impact” grazing system is followed to maximise the cattles impact on soil fertility. The cattle are grazed for a short period in a confined area and moved frequently. The effect of this method is a concentration of their dung and urine which enhances the fertility of the pasture. The frequent moves allow the pasture sufficient time to recover before it is grazed again. Pasture-reared beef is not currently available, but will be in time. The laying hens are housed in “egg mobiles” – the big one is a trailer that has been converted to incorporate their water, food and nest boxes. The hen’s primary purpose is to help with the even distribution of the cattle dung. They do this whilst searching for fly larvae which will be hatching after four days. This also has a sanitising effect on the pastures. Besides all the vegetable matter in their diet they also benefit from the insects they eat as they “range freely” on the pastures. The vegetable garden is half a hectare which is divided into a market garden section and a field crop area. The garden supplies the farm-to-table restaurant, Eight, on Spier, and has full organic certification from BCS Germany.